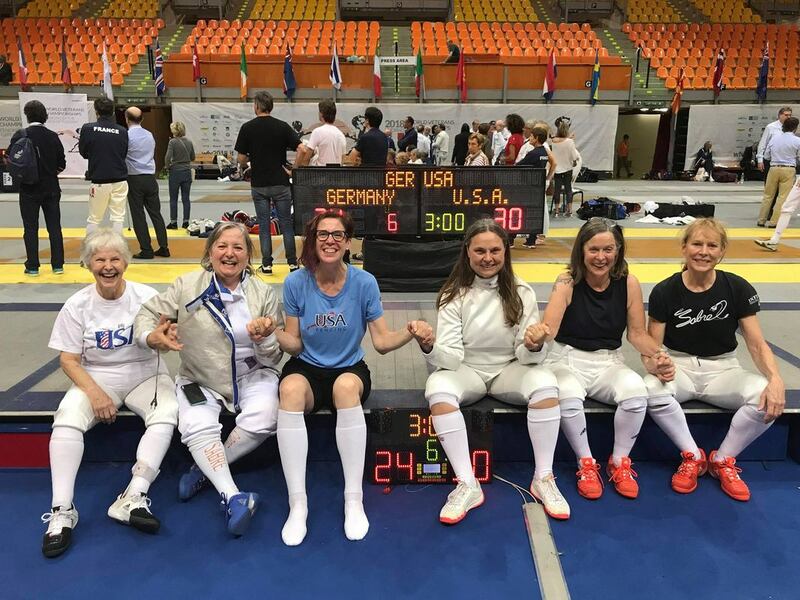 Women's SABRE TEAM USA coached by Wang Yung. Team members: Anna Manino, Chaz Smith, Jane Eyre, Robin Pernice, Delia Turner, Ted Smith and Ellen O'Leary. Infinity's Ellen O'Leary showing off her Women's Sabre Team Bronze medal at the USA Fencing Medal winner's dinner at InCarne in Livorno.